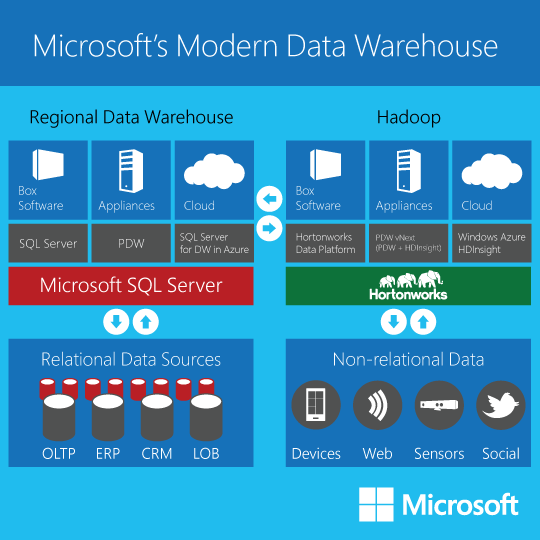 This article “Modernizing” Your Data Warehouse with Microsoft depicts how the new Microsoft data platform stack fits together. This article also makes reference to The Modern Data Warehouse paper from The Data Warehousing Institute (TDWI) providing interesting insight into the future of data warehousing. The replacement of data warehouse platforms over the next 3 years will empower organizations in their quest to leverage big data, provide more business insight, integrate platforms and provide scalability. The Microsoft Whitepaper provides further information. I attended and helped at the second SQL Saturday in Exeter held on 21st and 22nd March 2014. The event was bigger than last year brimming with excellent speakers. The event was preceded by the SQLSouth West user group meeting on UDF's. The Precon I attended was excellent on SQL Server 2014 with a deep dive on new features. The new features covered In-Memory OLTP (Hekaton), In-Memory DW (Column Store), SysPrep etc. Windows components including SMB3 allow SQL to store data files with remote shared folders. Fibre channel support enables SQL VM's to directly connect to fibre channels, ReFs provide better protection for SQL Data with background check sum processes in resilient file systems and Tiered storage space improved flexible SQL Storage through storage pools. Resource Governor can allocate pools set for IOPS limits. In addition there are lots of improvements that are turned off by default. Development insights mentioned were A Community Challenge blog which documented a talk on Query Progress Tracking in SQL Server that uses the html-query-plan tool. The tool to download for displaying SQL query execution plans as HTML is here . Uncovering hidden gems in execution plans provided useful insight with further exploration through sys.dm_exec_cached_plans and sys.dm_exec_query_plan. There were many other very interesting sessions covering Data Quality Services, Hadoop for the Microsoft Guy.